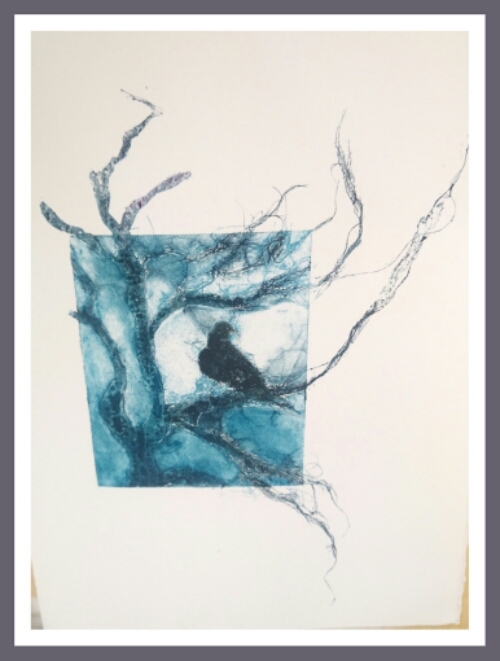 My collagraph plate was inspired by one of the dead, old oak trees that I see on my walks through the Bedfordshire countryside: always silhouetted against the sky is one or more crows and ravens, congregating on the branches watching over the fields. 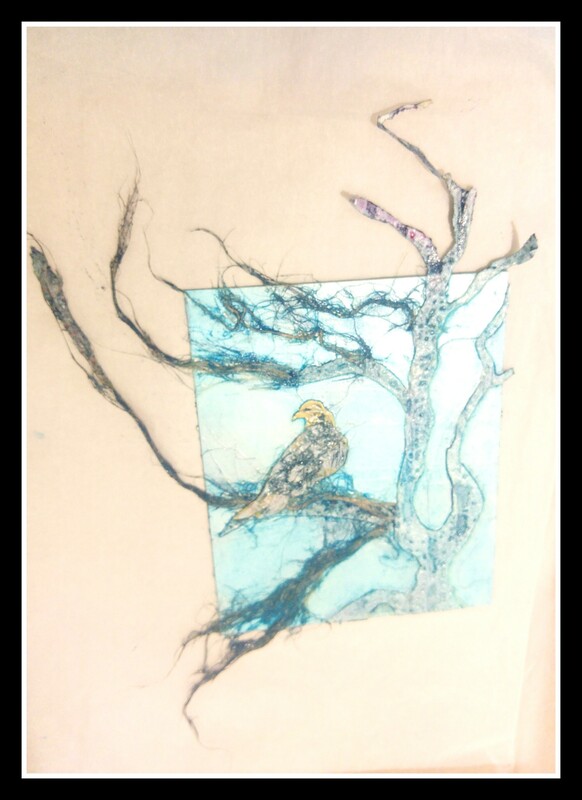 I used teased out string glued onto the mountboard to create tree bark and bird feathers. I created the branches out of textured wallpaper and made marks in it with a knife. After the plate was varnished and dried with a hairdryer, it was time to ink up the plate using brushes. I wanted to create an atmospheric moonlit effect so I combined blues and used plenty of extender. The printed plate was hand pulled through an etching press. 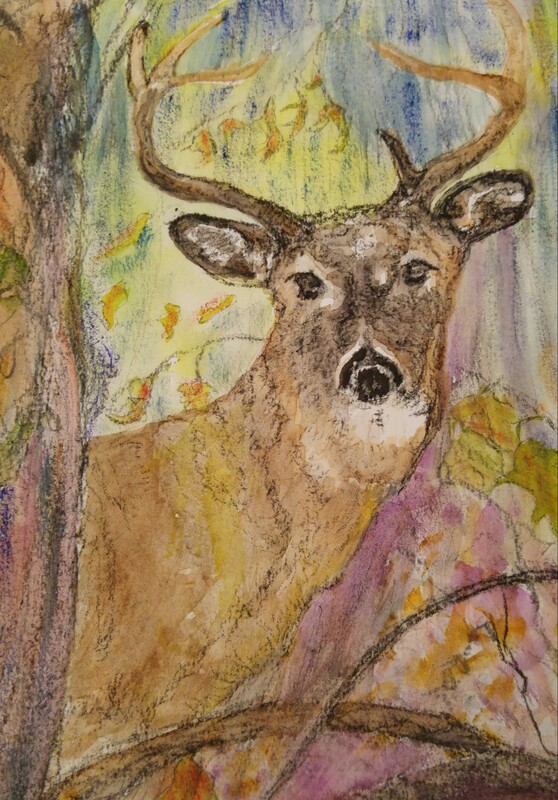 I used damp watercolour paper. Every collagraph print is different. I achieved a ghost print which was much lighter too.